I've had so much fun watercoloring, which is something I never thought I'd say. After taking a watercolouring class and struggling with many of the techniques (a few worked for me, lots didn't) ... I have found my own way of watercolouring and I'm really having fun! :) As I'm getting more comfortable with this medium, I'm experimenting and learning lots along the way. This one is done with Distress Inks and I love the vibrant colours. 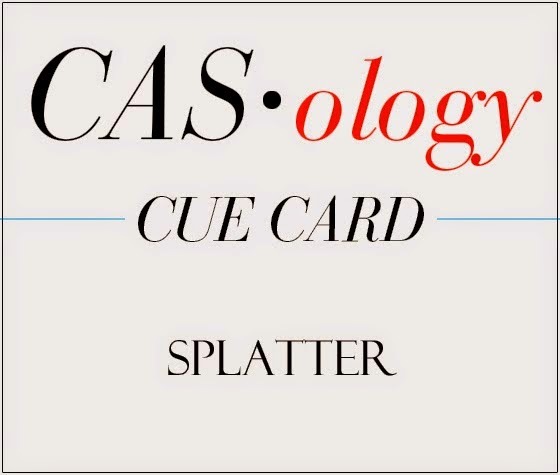 I'm entering this card into a few challenges that are running right now ... CAS-ology #116 (cue card: Splatter); AAA Cards #23 - Watercolours; and Virginia's View #8 - CAS. Also adding this to Simon Says - Use Watercolors. Adorable ! I'm a huge fan of your cards :). How did you do with the flower ? Did you stamp it on the other colours or masked it or did you watercolour around the flower ? Loll, it is always great seeing your watercolored creations. What a beautiful card and thank you for playing with us this week at AAA Cards! Your poppies look great Loll! Great job with the watercoloring! Oh lucky :Lee-Ann!! This is stunning!! Thanks for joining in at AAA! You certainly have mastered your own technique of watercolouring! This is beautiful and I must learn your technique! I knew you were going to embrace the watercoloring! 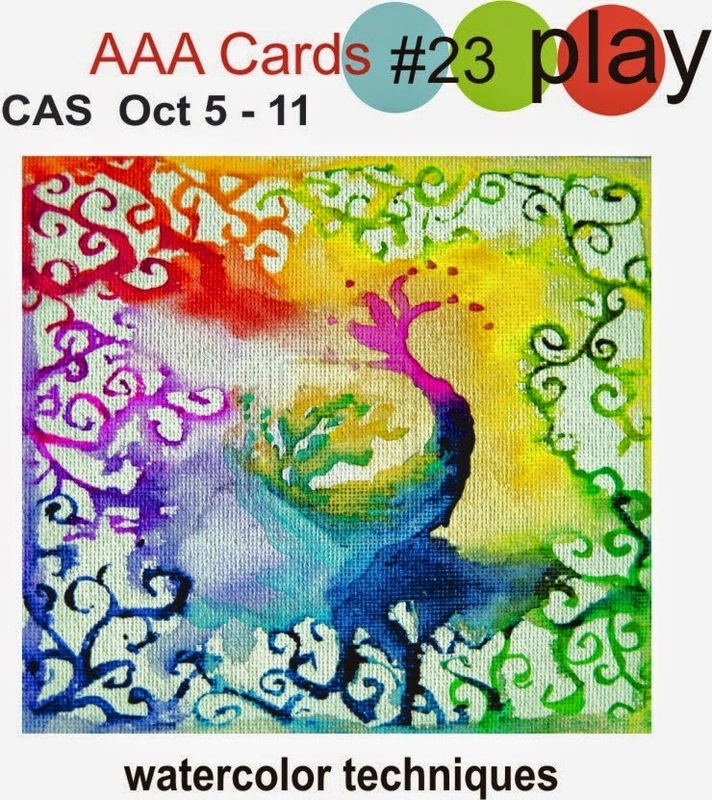 And what beautiful cards watercolors you are coming up with! This needs to be in a frame! I'm with Susan, I need to learn your techniques. This is gorgeous! I need to revisit the watercolor class. beautiful card, Loll - you should enter it in Simon Says Stamp watercolor challenge this week too!! I saw your card at the AAA challenge....Stunning! ADORE this so MUCH, LOVELY! Thanks for joining us and sharing this lovely in the CASology gallery this week!!! This is absolutely breathtaking Loll. Beautiful Loll! I am in love with the background! I was just saying on the weekend that I've lost confidence in my watercolour ability! I need to watch some videos and PRACTISE! This is Gorgeous Loll, the colours are beautiful and so vibrant! My watercolours never see daylight...due to not enough hours in a day :( must get back to them. oh wow! gorgeous cards, Loll! love them! So very pretty. The colors are so beautiful! You sure are making beautiful art with your water color technique Loll! Whoa! Gorgeous!! Just a work of art!!! I love, love, love this card. So glad you played along with AAA Cards this week. this is absolutely, unbelievably, out of this world, gorgeous!!!!! This is beautiful! I really love the background! 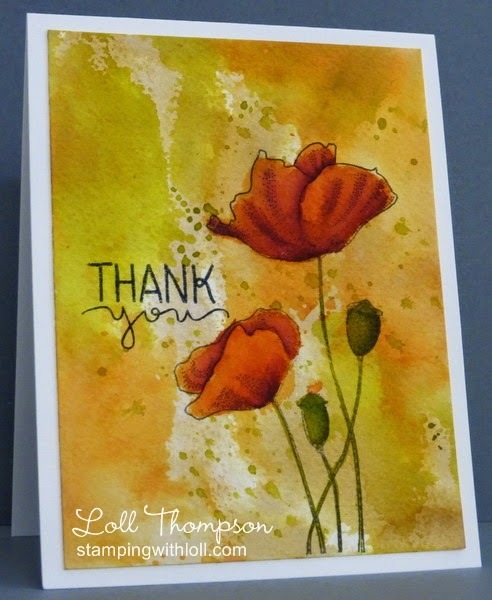 Thanks so much for playing along with the Watercolor Challenge on the Simon Says Stamp Wednesday Challenge Blog! Love this watercolor delight, Loll! 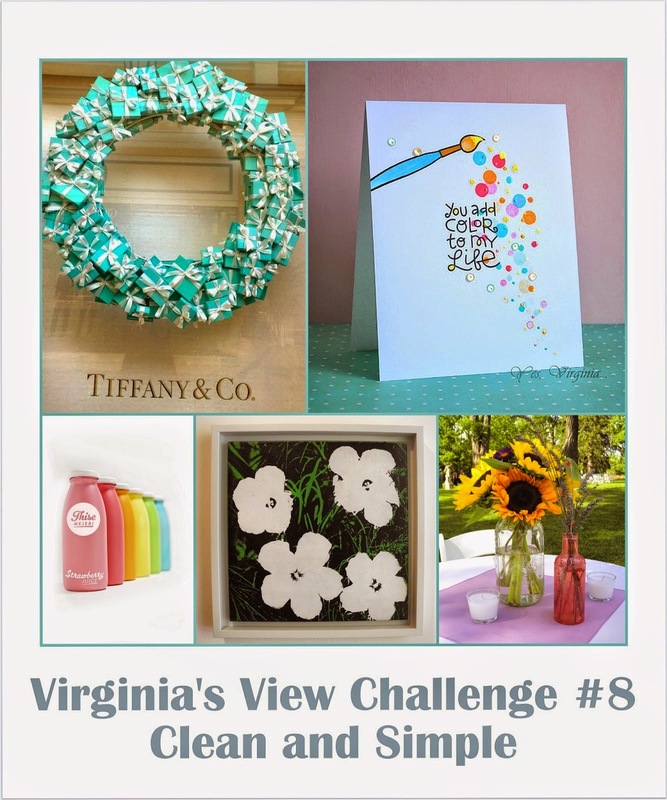 So glad that you join the fun over Virginia’s View Clean and Simple Challenge! Please do a video of this card! I love it! !